We will be like the Sun! The exhibition organized by the Tretyakov Gallery in March 2008 introduces for the first time to the public the work of the “Golden Fleece” movement, an outstanding phenomenon in the history of Russian artistic culture of the early 20th century. The organizers’ goal has been to reflect as fully as possible the magazine’s activities and to illuminate its historical importance. The materials on display are grouped into three sections: “Exhibitions”, “The Magazine” and “Nikolai Ryabushinsky”. The exhibition features the works of Russian and French artists that will evoke and reference their joint exhibitions in Moscow in 1908 and 1909. Its key objective is to highlight the main tendencies of the magazine-sponsored encounters of Russian and French art which contributed to the development and formation of the concept of 20th-century Russian avant-garde art. Special prominence is given to items introducing viewers to the activities of the “Golden Fleece” as a magazine, a print publication intent on helping artists and the Russian reading public to gain insight into the host of new, sometimes very complex problems facing art in the early 20th century, and furthering the cause of enlightenment and the cultivation of interest in national traditions. 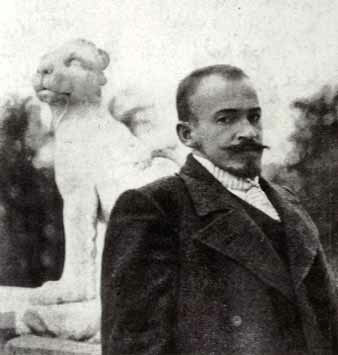 A special section of the exhibition is dedicated to Nikolai Ryabushinsky, the “Golden Fleece”’s editor and publisher. The exhibition features Ryabushinsky’s original paintings and drawings, prints of his artwork shown at the “Golden Fleece” exhibitions, personal photographs from different years and views of his villa “Black Swan”. This section displays Ryabushinsky’s life and art in Russia, and some items from his private archive highlighting the “Golden Fleece” publisher’s activities during his emigre period. This section showcases a gallery of graphic portraits of eminent figures of Russian culture from the turn of the 19th and 20th centuries commissioned personally by Ryabushinsky for the “Golden Fleece” magazine. The exhibition also includes the “Golden Fleece” issues as such, which are superb examples of Russian magazine art of the Moderne epoch. In total it features about 200 paintings, graphic works and sculptures from the Tretyakov Gallery, Pushkin Museum of Fine Arts, the Russian Museum, the Hermitage, the Literature Museum, the Museum of Fine Arts of the Republic of Tatarstan, the Vladimir and Suzdal History, Architecture and Fine Arts Museum-Reserve, the Russian State Archive of Literature and Art, and the Library-Fund “Russians in the World”. The exhibition also features items from private collections. The Tretyakov Gallery give special thanks to “IFD Kapital Group”, the general sponsor of the project. There was a brief period in the history of European culture when an art magazine had a significance and role that went beyond that of an ordinary print publication, and became a prominent cultural phenomenon that defined an era and shaped that era’s artistic consciousness and aesthetic ideal. The turn of the 19th and 20th centuries was one such period. Starting from the 1890s such magazines appeared one after another in Paris, London, Berlin and Munich, contributing to the specific atmosphere of the time. 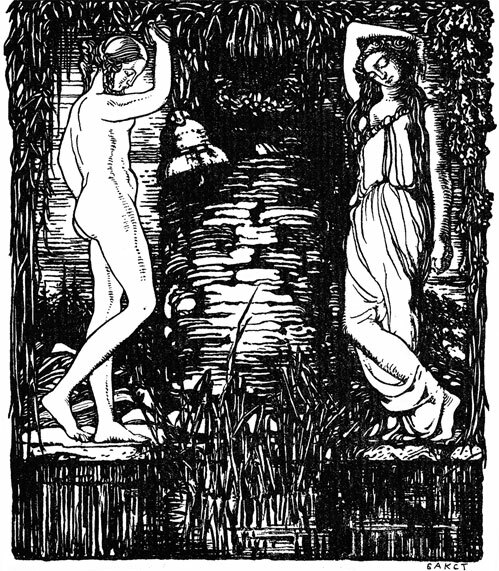 The Munich-based “Jugend” magazine even lent its name to an artistic trend in European culture of that period, Jugendstil. In Russia the magazines “World of Art” and “Golden Fleece” fall into this category. 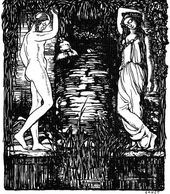 The latter was intimately linked to the history of a fellowship of young Muscovite Symbolist artists headed by Pavel Kuznetsov. The “Golden Fleece” magazine became that group’s material base, ensuring full freedom for the artists; it was the print mouthpiece and ideological centre consolidating the fellowship and contributing to the recognition of the aesthetic principles of Symbolism. It was the “Golden Fleece” that organized in 1907 the famous Moscow exhibition “Blue Rose”, which lent its name to Russian Symbolism in visual art in the 1900s. Through the efforts of the “Golden Fleece” the “Blue Rose” movement became an epoch-making artistic phenomenon that set trends and defined the styles of the time. After the “Blue Rose”, the magazine, continuing its activities, organized joint exhibitions of Russian and French artists working in the newest trends: the years 1908 and 1909 saw in Moscow three exhibitions named “Golden Fleece” — unique in size and the scope of the artists represented, they were to play a momentous role in the history of 20th-century Russian art and give a powerful impetus to the development of Russian avant-garde trends. Nevertheless, far from receiving due appreciation from Soviet art scholars, the “Golden Fleece” was labeled a phenomenon alien to the new ideology, as was everything connected with Symbolism in general and the “Blue Rose” in particular. The magazine was declared “bourgeois” and decadent and, for this reason, dumped on the “garbage heap of history” and filed by the Soviets under the “forbidden” category. Today no one would doubt the historical logic behind the “Golden Fleece” phenomenon and its importance and significance for 20th-century Russian culture, so, naturally, study and investigation into it has revived. 2007 saw the publication of the first major monograph on the subject. The exhibition organized by the Tretyakov Gallery in the spring of 2008 to commemorate the centenary of the first joint Russo-French exhibition, the “Salon of the ‘Golden Fleece’” introduces it for the first time to Russian audiences in all its variety. The “Golden Fleece” magazine was first published in Moscow in January 1906, with Nikolai Ryabushinsky as its editor and publisher. The new publication was conceptualized and shaped as a continuation of the St. Petersburg magazine “World of Art”, which by 1904 had already disappeared. The need for an arts magazine which would become the ideological centre in the struggle between new movements and established trends was especially acute then. Moscow at that time started to be the centre of Russian art. 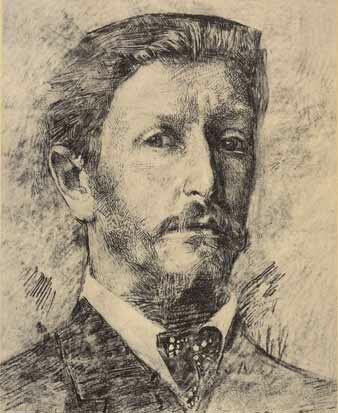 Unlike the St. Petersburg Academy of Fine Arts, by then a musty conservative institution, the Moscow School of Painting, Sculpture and Architecture, with Valentin Serov becoming the head of figure painting workshop in 1897 and Isaac Levitan, Konstantin Korovin and Paolo Trubetskoi subsequently joining the faculty, experienced a true revival. The spirit of freedom fostered within the school encouraged Moscow painters to grow artistically and to experiment boldly while preserving their keen sense of “roots” — a deeply-felt kinship with national traditions. 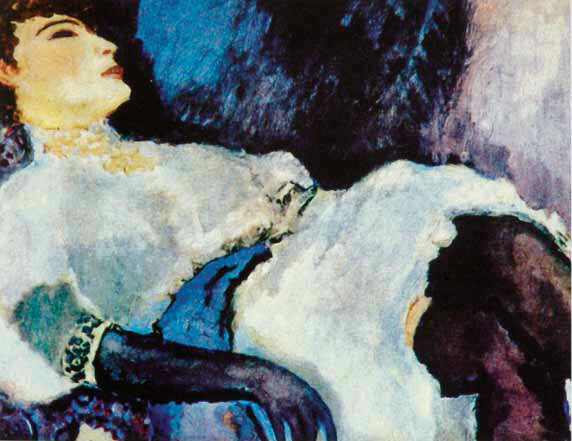 Creating the new magazine, Ryabushinsky looked towards Sergei Diaghilev’s activity and the goals he set in organizing the “World of Art” society. In his 1897 letter to Alexander Benois Diaghilev wrote, “...[I am] putting together a magazine wherein I expect to bring together all of our art life, that is to use true art for illustrations, to speak up frankly in the articles, and later to organize a series of annual exhibitions under the magazine’s auspices.”. The publication of “World of Art” started in 1899. The article “Complex issues” prefacing the first two issues of the magazine set out new aesthetic principles, those of the sovereignty of art and freedom of creative endeavour, in which the priority of the creator’s personality was upheld, and the role of art critics was seen as a “celebration” of every new manifestation of talent. The enlightenment of the general public was declared as one of the magazine’s most important goals. Big, beautiful, shining with gold, as if filled with sunlight, the first issue of “Golden Fleece” that appeared in January 1906 was designed to shock, to exhilarate, to cheer, and to raise hope. The birth of the magazine under the banner of the Sun symbolized the rise of new life. The Sun was rising to dissipate the gloom of Night into which Russia was then plunged. The new publication’s goal was to present on its pages all the artistic life highlighting the brightest and most noteworthy happenings and, in keeping with Bely’s idea, “to explain in popular terms the basics of ‘sunness’”, meaning the ideas of Symbolism as a new and most progressive trend in 20th-century culture, “kindling the hearts” of the readers. The “Golden Fleece” magazine started out by introducing the originator of Symbolism in Russian visual art, Mikhail Vrubel. The first issue printed in January 1906 carried his works on its first pages. 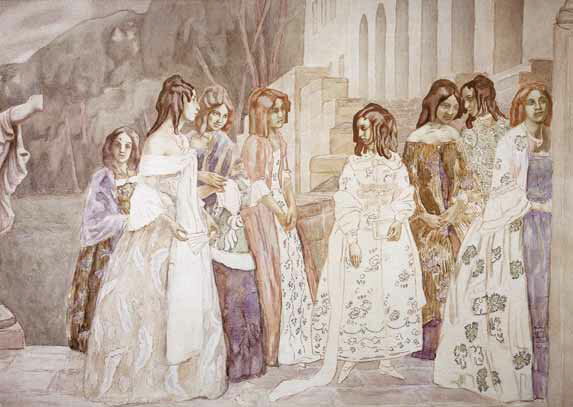 It took a long time for Vrubel’s contemporaries to appreciate him - but for the young Muscovite Symbolists he was an idol, a benchmark, the epitomy of the very idea of Symbolism, a spiritual point of reference. Vrubel became a sort of yardstick for the “Golden Fleece”, the highest note to which the magazine aspired. Its beacon, the artist’s personality would define the course the magazine would pursue. Every issue of the magazine introduced readers to the most significant, in the editors’ opinion, phenomena of contemporary Russian artistic life which were yet little understood and not duly appreciated. Thus, the third issue was devoted to Viktor Borisov-Musatov, who was, alongside Vrubel, another originator of Symbolism in Russian visual art and who was for the Muscovite innovators not only a guiding light, beauteous but distant like Vrubel, but a living reality — their friend, mentor, and teacher. 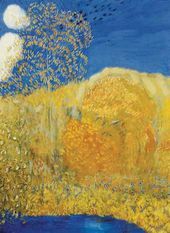 That publication of the “Golden Fleece” played a most important role in the formation of a correct historical perspective on Borisov-Musatov’s art and the appreciation of his significance for the history of 20th-century art. 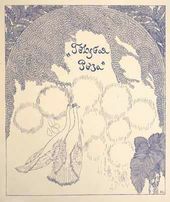 The “Golden Fleece” editors also provided opportunities for readers to see many “World of Art”’s leading artists — Konstantin Somov, Leon Bakst, Alexander Benois and Yevgeny Lansere. The magazine printed many of their works, including portraits and self-portraits commissioned by Ryabushinsky especially for the publication — this gave rise to the “Golden Fleece”’s considerable gallery of portraits. The prints were accompanied with articles about the artist or a dedication to him. 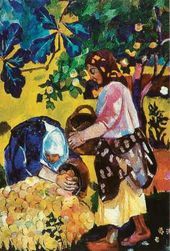 The art of Mikhail Nesterov, Nicholas Roerich, Konstantin Bogaevsky, too, was presented on the magazine pages with fitting reverence. As for the young Muscovite innovators, only Pavel Kuznetsov was given that much attention. 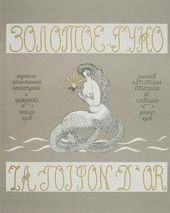 Subsequently, trying to give the reader a more than far-ranging knowledge, the magazine was also intent on cultivating the sensitivity for art in the wider reading public, and not only the Russian public at that: during its first six months the “Golden Fleece” was published in two languages, Russian and French, and circulated in 11 of Russia’s largest cities, as well as Europe and America. The new magazine was very particular about not only what was published but also about how it was published. The magazine carried mostly large-scale illustrations filling up a whole page of the finest paper, the artwork did not have textual inserts, and its layout was carefully considered. 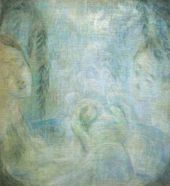 Thus, the juxtaposition of Vrubel’s self-portraits and the faces of his “Prophets”, “Seraphs” and “Demons” brings out the divine nature of Vrubel’s gift, his “chosenness”. The pages with Borisov-Musatov’s artwork evoke a soft lyrical tone. An important feature of these works is the light-coloured backgrounds highlighting the songlike fluid lines of Borisov-Musatov’s compositions and the soft modulations of his accords of colour. In Roerich’s artwork, on the contrary, white serves to deepen the gloomy shades of black prevailing in many of the artist’s pieces of the period. 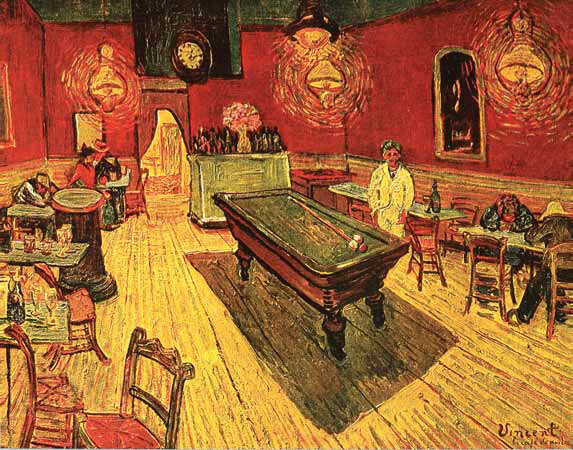 The magazine drew the reader’s attention to the fact that different visual arts require different types of approach. 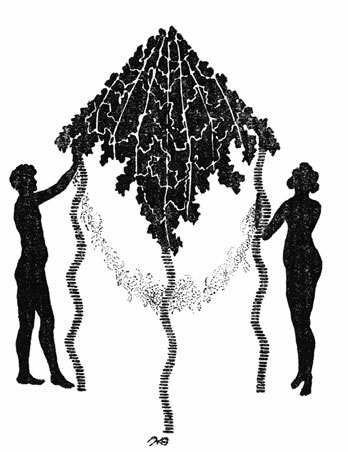 For instance, the “Fleece” featured two sculptural groups of Konstantin Somov in four and six projections respectively, from different sides, and against different backgrounds. The magazine seems to have been obviously interested in graphics, the art form which is best suited for print publication. The elegance and subtlety of the lines and the beauty of black spot inherent in the silhouettes in Somov’s graphic pieces are brilliantly displayed; the magazine prints afford a fair view of the beauty and rationality of Lansere’s drawings, of the classic clarity of Leon Bakst’s drawing style and the charm and freedom of his plein-air “croquis”or sketches. The new magazine picked up and successfully continued yet another important initiative of the “World of Art” — the popularization of the national artistic heritage. Every year the magazine dedicated a substantial triple issue to this subject. 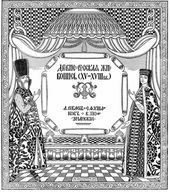 The first among the heritage issues was focused on Old Russian art: the issue contains about 70 illustrations and the material is divided into five sections devoted to its different types and forms. It is hard to overestimate the importance of this publication. The reading masses were for the first time introduced to an unknown section of Russian art, a new world of the nation’s sublime centuries - old creative endeavour. The discovery of Old Russian art as a powerful source of aesthetic and spiritual inspiration was highly important for setting a direction for the young Russian artists’ quest and shaping the principles of the Russian avant-garde. Next year, in 1907, the most important heritage material was “Alexei Venetsianov and His School”, and in 1908, it was the art of Nikolai Ge as the best representative of the high-minded “Peredvizhniki” (Wanderers) tradition. And the centenary of Alexander Ivanov was marked by the “Golden Fleece” by a superb publication of Ivanov’s drawings and watercolour pictures largely unknown to the general public, accompanied by Vasily Rozanov’s article. However, for all its attention to the art of the past the new magazine was first and foremost directed to the future. Considering itself responsible for the destiny of Russian culture, the “Golden Fleece” became engaged in efforts to rebuild it. The magazine lent its pages to heated discussions about the improvement of art education, state institutions and the guidance of art, and in all its statements artists were viewed as the prime pace setters in a renovated free society. Although labeled by Soviet art critics “apolitical”, on closer examination the “Golden Fleece” seems a living personification of its times. More than any other publication, this luxuriously designed magazine gives us the feel of the complexity of that tragic instant in Russian history. The magazine comprehensively reflected both the upsurge of social activism of those years and its harsh realities; the exhilarating Utopian hopes and the depressing sensation of hopelessness and utter despair. 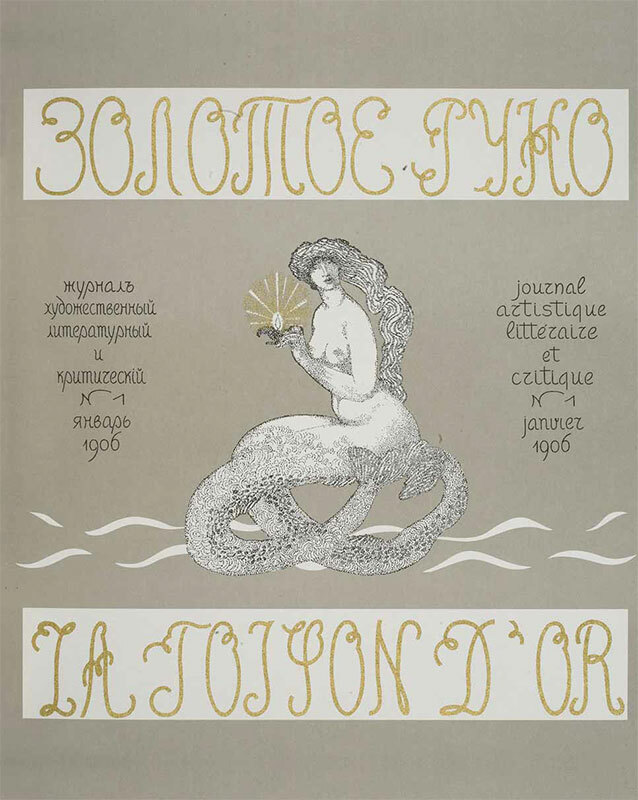 Starting from its second year, the “Golden Fleece”, while remaining a magazine of literature and criticism and giving increasingly more space to music became increasingly focused on the visual arts; the magazine was establishing its niche as an arts publication, upholding the principles of Symbolism and bringing to the general public the idea that these principles were the most progressive ones. From the very beginning the “Golden Fleece” was closely focused on art exhibitions. Exhibition reviews in the magazine were always supplied with prints of the works concerned and usually accompanied with in-depth analyses of modern art trends. Thus, several issues in a row included exacting criticism of the 1906 “World of Art” exhibition organized by Diaghilev, which was an epochal event. The show exposed the nascent disagreements between the group of Muscovite Symbolists and St. Petersburg “retrospectivists”, a split which was to grow over time. The show left no doubts that these artistic groups were not at all associates in any quest for new trails in art. Thus the organization of its own exhibitions became the order of the day for the “Golden Fleece”, and the magazine promisingly set out on this path in 1907 arranging in Moscow the “Blue Rose” exhibition. The artist Sergei Vinogradov recalled, “The first ‘Blue Rose’ show was a sensation in the Moscow art world. And it was organized with so phenomenally refined beauty that had never previously occurred.”. A special issue of the “Golden Fleece”, designed by the exhibition’s participants themselves in their trademark styles, introduced the “Blue Rose” to the reader and focused on analysis of problems relating to the group’s activity. The magazine persuasively, earnestly and with great taste introduced the exhibition to readers and, especially valuably and importantly, ran Sergei Makovsky’s article providing the correct historical perspective on the phenomenon which acquired that name and status after the publication of the issue. On April 5 1908 in Moscow in the home of the Khludov family, at the corner of Rozhdestvenka Street and Teatralny Proezd, the “Salon of ‘Golden Fleece’” exhibition opened, unprecedented in its scope and significance for the history of 20th-century Russian art. It was the first time that the fledgling French art, then not yet widely appreciated even in Paris, let alone other European cities, was featured so prominently outside France. Only two years later a show of the French Impressionists was mounted in London. The “Salon” introduced Russian audiences to an entire range of French artistic trends of the turn of the 19th and the 20th centuries. Lending its pages to a full and comprehensive coverage of the exhibition, the magazine put considerable effort into popularizing French art with a major analytical focus on the challenges common to both the Russian and French artistic groups. The numerous illustrations were accompanied with three considerable articles about French art. 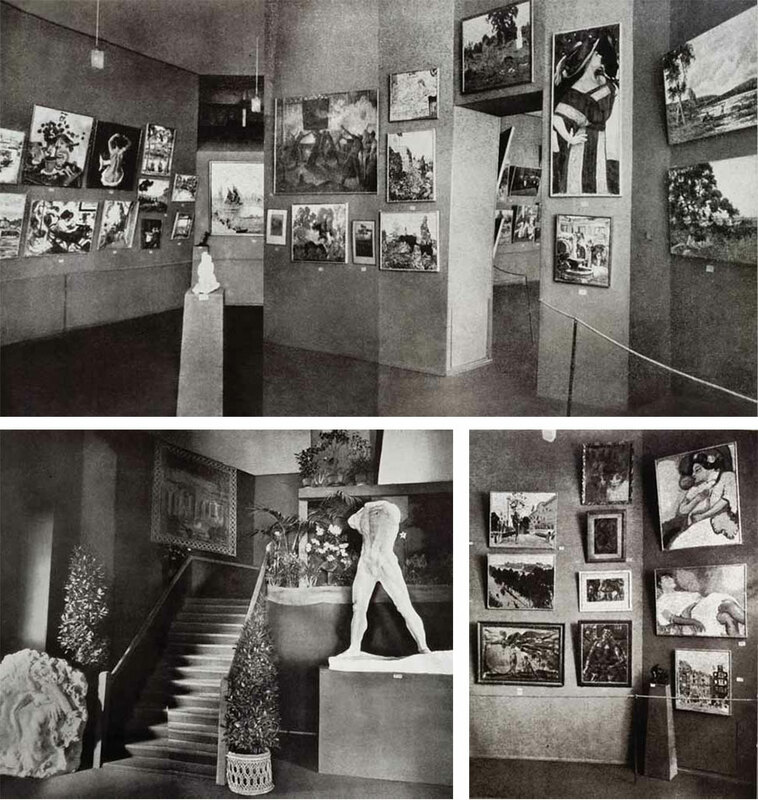 January 1909 saw a second exhibition sponsored by the magazine, continuing the tradition of Russo-French art encounters initiated by the “Salon”. The participants included 16 Russian artists working in the “Blue Rose” tradition and ten French artists. The Russian artists contributed 111 pieces, the French 44. From the French artists, preference was given to exponents of the newest trends — the French participants included Georges Braque, Andre Derain, Kees Van Dongen, Albert Marquet, Henri Matisse, George Rouault, and Maurice de Vlaminck. The magazine’s last exhibition opened at the close of the same year, 1909, and stayed open throughout January 1910, when the “Golden Fleece” magazine was already officially discontinued. That show differed considerably from the first two. Only Russian artists participated; probably money was the issue there. But by that time there was no longer a great need felt for contacts between Russian and French painters. 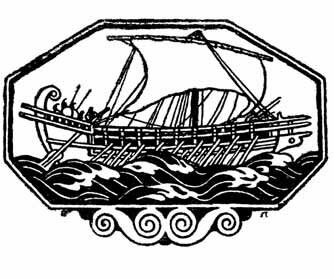 The “Golden Fleece”’s mission was by and large accomplished. The innovative contributors to the third show included the members of the — by then — well-established “Golden Fleece” group. Nearly each one of them contributed ten or more pieces, and Larionov, remarkably, contributed 22. But what was most important, the “Golden Fleecers” at the third show were joined by new young avant-garde artists — Ilya Mashkov, Pyotr Konchalovsky, Alexander Kuprin, and Robert Falk. 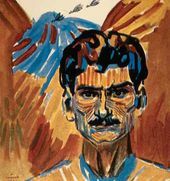 Soon afterwards, late in 1910, these artists, joining forces with Mikhail Larionov, Natalya Goncharova, Aristarkh Lentulov, Vasily Kandinsky and Kasimir Malevich, formed a new, independent avant-garde group called “Knave of Diamonds”. That group of Russian painters too was not immune to the beneficial French influences originating from the “Golden Fleece” shows. Unlike the “Blue Rose” artists, they were more attracted to powerful “materiality” à la Cézanne. Having germinated within the “Blue Rose” innovation, the Russian avant-garde at that time “detached itself” from that movement and set out on a progressive independent path. 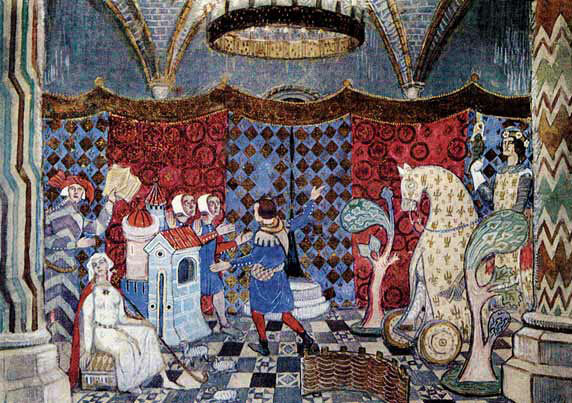 The “Blue Rose” and “Golden Fleece” were its breeding grounds, providing the impetus. 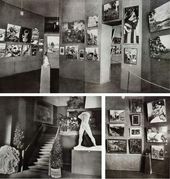 Meanwhile the “Rose” itself, significantly reformed under French influences, chose a unique course to pursue, which, in the art of the movement’s prominent artists, also proved its relevance and artistic persuasiveness and took its rightful place on the same plane as the Russian avant-garde movement. The magazine closed after it had brilliantly met the challenging goals it set for itself and become a hallmark of its times: it was exiting with dignity. In their farewell address the editors wrote, “Parting now with our readers, we do not feel the slightest hint of fatigue. Neither the unremitting struggle we have been engaged in, over more than three years, for the sake of art’s future of our vision, nor the great technical difficulties associated with printing the illustrations, nor the regular confiscation of our issues and publications by the censors, nor the indifference and the offensives on the part of the newspaper reviewers have sapped our energy. But now we clearly feel that the movements that we have been advocating both in literature and in the visual arts have become sufficiently strong and full-fledged to sustain an independent development from now on and that the “Golden Fleece” in this respect has accomplished its mission... Rounding up our effort of four years, we exit perfectly assured that there will be nothing to silence and ruin the artistic principles that the ‘Golden Fleece’ has been championing.”. The magazine editors left it to us, their descendants, to strike the final balance, believing that “only the future generations ... are to judge without bias the achievements and failures.” And indeed, from the distance of a hundred years, everything is restored to its true stature, cleansed from superficial minutiae which, in the heat of struggle, sometimes took centre stage. One hundred years ago the “Golden Fleece” contributed to the shaping, within the Russian artistic environment, of an artistic consciousness and appreciation of the historical value of the most important phenomena of European and Russian art of the early 20th century which have survived essentially intact to this day. And there is no doubt that the overall activities of that arts journal, a leader of its time, and the journal’s actions in individual cases were thought out and carried through by none other than the publisher himself, Nikolai Ryabushinsky. It is known for a fact that he generated the ideas, planned, organized, invited, made visits and coaxed; he selected for the shows the works of great artists and artists little-known, still struggling but, in his opinion, promising; he commissioned portraits of those public figures whom he considered most worthy and, as time showed, he never once was mistaken in his choice; and he financed it all without seeking material gain for himself but only expending his wealth, the costs being outrageous even for his great fortune. That was the true feat of a patriot, and such was his victory. Leaving his mark in history, he is remembered as a bright star. Ryabushinsky’s contribution, and this refers most of all to the Russian visual arts, is equal to, if not greater than that of Sergei Diaghilev. These two personalities deserve equal respect as the true innovators of 20th-century Russian culture, although their lives were different. Ryabushinsky had far less good luck: he was not understood and appreciated by his contemporaries, and future generations have yet to give him his due. A few words by way of conclusion. 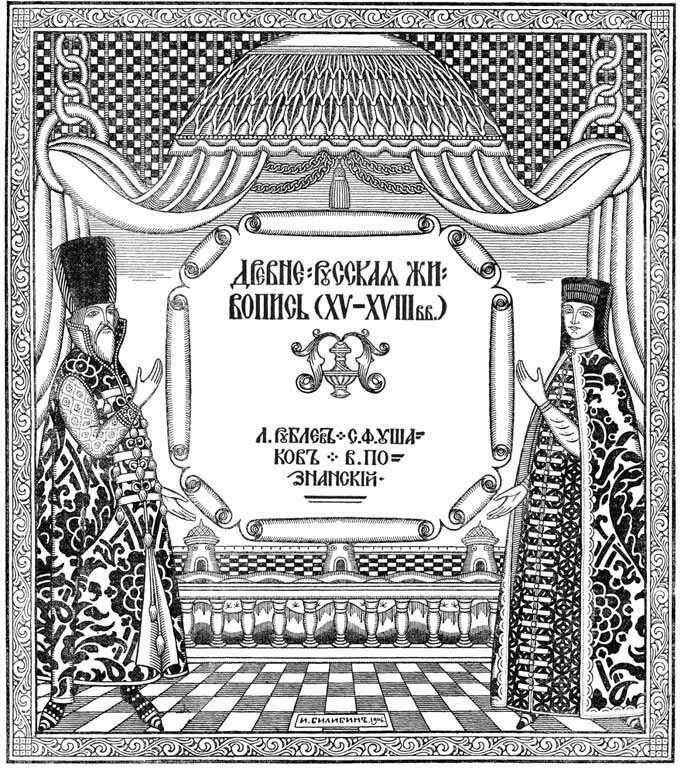 In addition to everything above, the “Golden Fleece” is also a unique artefact of graphic art of the early 20th century which united Russia’s best graphic artists of that time. The magazine’s design is marked by a harmonious combination of text and illustrations and a neat equilibrium between printing type and the live lines of the images pictured. The headpieces, tailpieces, decorative initials by the most prominent artists of the “World of Art” and the “Blue Rose” groups become an integral part of the text, while the text becomes a piece of graphic art. The look of the magazine itself came to foster good taste, sensitivity to the visual image, and a sense of beauty in the general reading public. And this undoubtedly was conducive to the magazine’s fame a century ago, and to the present revival of interest in the magazine and the epochal phenomenon behind it at large, called the “Golden Fleece”. Gofman, Ida. “Golden Fleece.” Magazine. Exhibitions 1906-1907. Moscow, 2007. Benois. Emergence of “Wbrld of Art.” Leningrad, 1928. P. 27. Bely, Andrei. Argonauts // Bely, Andrei. Symphonies. Leningrad, 1991. P. 450-455. Vinogradov, Sergei. About the “Blue Rose” exhibition, Nikolai Ryabushinsky’s talent and “Feast of Roses” in his Kuchina” // Vinogradov, Sergei. Moscow of Yore. Riga, 2001. p. 143. 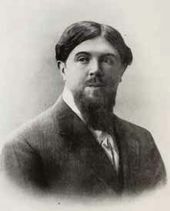 Milioti, Vasily. Forgotten Precepts // “Golden Fleece”, 1909, No. 4, p.V. Catalogue of the “Golden Fleece” exhibition. Moscow, 1909. Editorial // No. 11-12, p.107.